Today’s review is about a face mask from Bio Bloom. I received this face mask in my May June 2017 Edition Violet Box. Let’s get to know about this Face Pack. 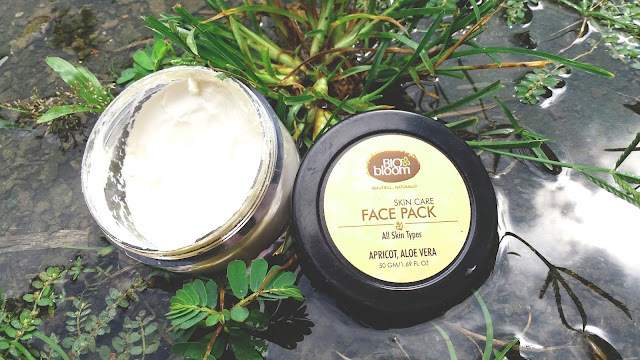 Bio-Bloom Skin Care Face Pack has been specially formulated to be 100% Natural and Paraben Free, Petrochemical-Free cruelty-free and suitable for all skin type. Bio Bloom is a natural beauty brand. All of their products are made with high-quality ingredients. This skin care face pack contains some very useful of natural ingredients like apricot oil, olive oil, aloe extract, kokum utter etc. 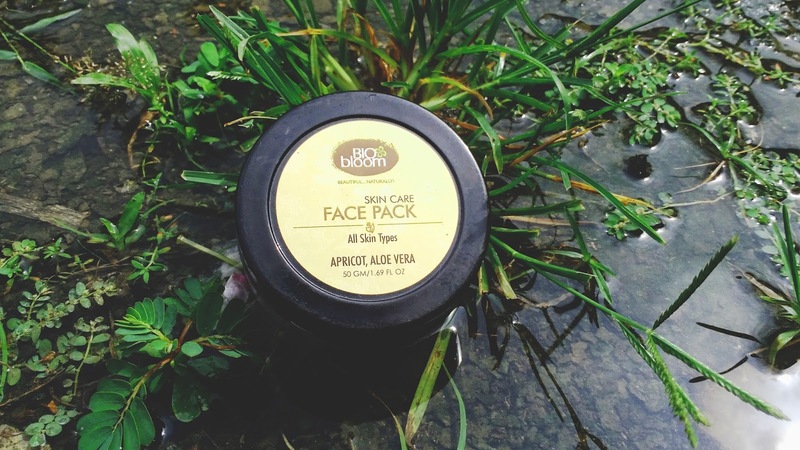 The main purpose of the face pack is to calms and reduces inflammation and redness, skin even toned, leaves it hydrated, supple and soft. It heals damaged skin and helps reduce wrinkles from face. The Bio Bloom Skin Care Face Pack comes in a 50gm small size transparent plastic tub with a screw open lid. Under the lid, there is another white plastic cover that provided to prevent spillage. The tub is sturdy and size of the tub would be convenient to carry on a handbag. The packaging of the product is 100%travel-friendly. All the necessary information regarding the product are mentioned in the tub. The texture of the face pack is soft and smooth. It has a creamy and thick consistency which spreads easily on the skin. The face pack is off-white in color. It has a bit strong perfume, which is not too harsh to me. Some people may not like the aroma. I am using it for more than one month now (like twice a week). The mask is quite thick in texture; hence a good amount of product is required per application to cover your whole face and neck. I use it after cleansing my face and neck. It spread easily on my damp face. During application, I feel a very mild tingling cold sensation. The mask dries off quickly since it does not feel hard and stretchy like fullers earth and I keep the mask on my skin for around 20 minutes and then rinse it off with normal water. It easily comes off and doesn’t leave behind any slippery feeling on my skin. 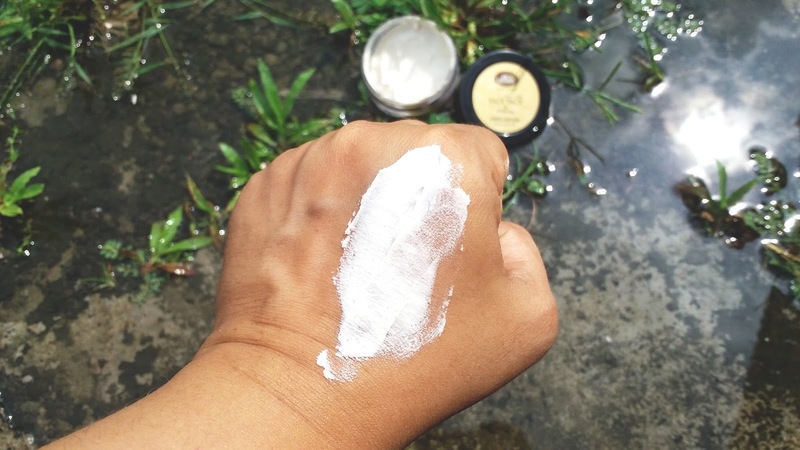 Due to the texture and consistency, I assumed it'd be super hydrating but when I rinsed it off, I didn't find my face to be drastically different in smoothness or hydration, even no brightness at all, which was kind of a let-down. But it is also true that my skin never feels stretchy or dry after using this face pack. Overall, Bio Bloom Skin Care Face Pack is free from parabens, formaldehyde, sulfates, and petrochemicals but it is a very average product. You don't expect something miraculous results from it. Very temporary effects are seen.